The US House of Representatives has approved a three-year plan to tackle drug trafficking from Mexico, Central America and the Caribbean. The bill authorises spending of $1.6bn (£800m) to support anti-drug programmes - much of it to be used in Mexico. The US Senate still has to approve its version of the bill. Mexican opposition to provisions in it tying aid to human rights measures could be an obstacle. Conflict between rival drugs gangs and Mexican police has escalated this year. The violence has left well over 1,000 people dead so far this year. The legislation passed by the House, by 311 votes to 106, stems from the so-called Merida Initiative proposed by US President George W Bush in October last year. Under the aid plan, the US funds would be used to help train and equip security forces and strengthen justice systems in Mexico, Central America and the Caribbean. If the Senate approves its version of the legislation, a reconciled version of the two bills will go to Mr Bush to be signed into law. However, Mexico's President Felipe Calderon and the nation's lawmakers are deeply opposed to conditions within the Senate version which link the funding to performance on human rights, arguing that they violate their country's sovereignty. Other provisions would allow the US to monitor the use of equipment and training by the other nations and look into allegations of abuse by security forces. A visiting delegation of US politicians met their Mexican counterparts in the city of Monterrey at the weekend to talk about the objections raised by Mexico. 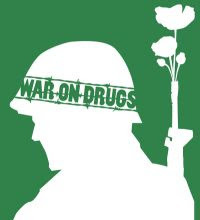 The bill approved in the House on Tuesday authorised the spending of $1.1bn for anti-drug programmes in Mexico between 2008 and 2010 and $405m for Central American and Caribbean countries. A further $74m would go to the US Justice Department to aid its efforts to stem the flow of US guns into Mexico. Supporters of the legislation praised Mr Calderon for his efforts to crack down on Mexico's violent drugs cartels. However, two Texas congressman opposed the legislation, saying the US border with Mexico needed to be secured first.